The 2012 Gossamer Gear Mariposa, specifically in the tall version (22”-26”) which I mentioned previously, is now available at Gossamer Gear. For all you lanky, Frankenstein, pencil people – check it out. During Christmas, my two sons express a lot of joy when I give them a handful of change to put in the Salvation Army kettle. They can easily find the good. Funny enough, I can easily find the good in them. The good is simple, it just is. The good can’t help itself. The good is unblemished by the foolishness, morally defunct and politically perverted nature of our society. The good isn’t complex and it is free to everyone. The good can’t help but radiate and grow. Defining the good doesn’t require an education, an explanation or even a reason. The good speaks every language and is relevant to every generation. When the good is in our face – no one needs to point it out. The good couldn’t hide itself even if it wanted to. I think the good explains the wilds to us, that which otherwise wasn’t explainable in the first place. Want to know where to find the good? 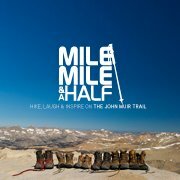 The Muir Project. A group of multi-media artists, musicians, painters, teachers and others captured the 211 miles of the John Muir Trail in 25 days of footage with the singular purpose of bringing you the good. The videos are inspiring and will transport you to the good. Watch them. Support the good at Kickstarter. Consider giving $1. Then, give more instead. Grant Sible, President of Gossamer Gear, was kind enough to let me test the 2012 Mariposa. Although there was no request for a product review, I felt it was the least I could do. Under the watchful eye of lightweight backpacking guru Glen VanPeski, Gossamer Gear set the bar for lightweight and innovative products years ago when lightweight backpacking was in its infancy. Grant took the reins of Gossamer Gear in recent years and continued to exceed customer expectations while offering exceptional quality cutting edge products. Gossamer Gear’s redesign of their famed Mariposa was done in the spirit of offering a more durable and smartly designed comfortable-to-carry pack with little compromise to weight. 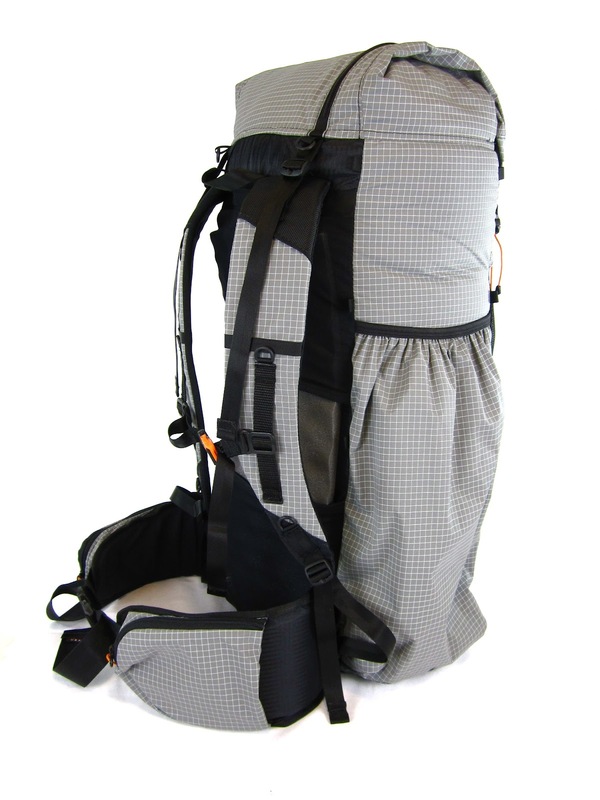 I had been pestering Grant for over two years to build a pack for taller folks. We went back and forth over time until one day he asked me which of all of Gossamer Gear’s packs would I like to see in a tall version. After some thought, I decided on the Mariposa, spelled out what options I liked, and even suggested making the switch to Dyneema Gridstop. I assumed he was merely gauging product interest and I was quite surprised when I learned it had become a reality, at least in a beta version sent to me. The first thing that grabbed me was the appearance. The Mariposa is made of a 140 denier Dyneema Gridstop which is a lighter version of that which is commonly used by Mountain Laurel Designs, Six Moon Designs and others. This takes what was already an incredibly durable and visually appealing fabric and makes it lighter. It is a very attractive pack which comes with a removable waist belt and integrated pockets. Even the pockets are made of Dyneema Gridstop which is my preference as they are more durable than mesh and may arguably even be lighter. 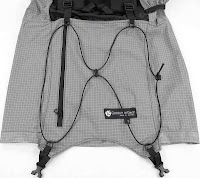 The style and location of the pockets on the 2012 Mariposa are the same as previous versions to include two favorites of mine which are a long side pocket suitable for a two-liter bottle, fishing gear, or a sizeable storage area for a tent, and a shoulder pocket which is where I prefer to store my stove/cup combo. The large mesh back pocket is also great and my preferred location to store my shelter, rain gear and anything I may want to access during the day. It also has a removable internal aluminum stay which aids with weight transfer to the hips vastly improving carry comfort. 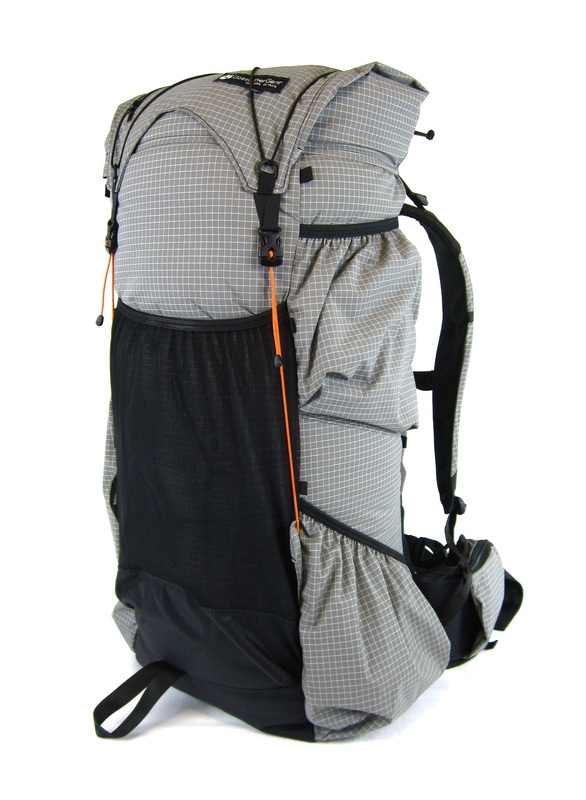 It comes with adjustable shoulder straps, which is a first, and is plenty sizeable at 2860 cu/in in the main body to handle 4 seasons of gear (4244 cu/in overall). 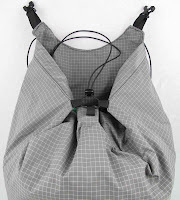 It has an optional and removable sit pad and pocket which also fits a folded torso lite or other similar style pad. One thing I’d like to single out is the fact that the shoulder straps are physically longer than on average-sized packs (at least in the tall version). I know of no other manufacturer offering tall torso packs who goes to the trouble of lengthening the shoulder straps too which is so critical. They are also well padded and are quite comfortable. It even has a hydration pocket. One of the most unique features of this pack is their over-the-top closure system which takes the place of a typical dry bag/roll top style closure. It includes a small pocket excellent for maps and little items and some cordage which can be used on top or on the sides for multiple purposes. The version I was provided is a tall which isn’t available yet. My torso is 24-25 and the pack fits beautifully with the load extremely stable especially when the shoulder lifters and sternum strap are used. Despite being in a tall and essentially an XL everywhere else, the pack weighed only 29 ounces which is pretty impressive considering it is a full featured pack. It is several ounces lighter than my ULA Circuit which has similar features. What I like about this pack is that it carries very well. For those fearful of having a frameless pack, but want to avoid something clunky, this is really an industry leader for a lightweight pack likely up to the task. To me, the features are nearly perfect in the sense of pocket organization, materials, construction, etc. As with all Gossamer Gear products I’ve owned or tried, it is made exceptionally well, is competitively priced when compared to other options, and dealing with Gossamer Gear has always been a pleasure in all respects. The Mariposa is not without fault, however. The internal aluminum stay does not connect to the waist belt directly which does compromise a certain degree of function. However, I feel that anyone who carries to the Mariposa has hopefully already made the decision to lighten their load thereby negating much of the need to engineer a perfect weight-transfer option more effective than what is already offered. Secondly, the over-the-top closure. I’ve probably heard more chatter about this choice of design than any other related to Gossamer Gear packs. It is attractive and functional, but it would be my preference to have a roll-top/dry-bag style closure instead which I feel would offer greater functionality and be a little less gimmicky. Right now Gossamer Gear offers this pack in small (13”-16” torso/25.75 oz), medium (16”-19” torso/27 oz) and large (19”-22” torso/26.60 oz) sizes. If the XL (tall) is made available, it will be 22”-25”/30 oz. Hip belt size can be picked to help suit your needs which can also be removed entirely if desired. My use of the Mariposa varies. For those that carry a CCF pad rolled up inside the pack which takes up a ton of room, the Mariposa is a good option. I’ve also found it great for situations when I need to haul extra equipment like when backpacking with my kids. It fits my winter kit just fine and will receive quite a bit of use in a few months. It is a great size for those with conventional-sized equipment and those who like to carry extra frills with them. I also feel very comfortable using this pack for a multi-day excursion where more food (or a bear canister) and some extra items necessitate the need for more space and the carrying comfort makes it well worth it. In fact, this is one of only a few packs which I think would work quite well for lightweight thru hikers. If you’re in the market for a new pack and this sounds like an option for you, take a look at Gossamer Gear. They have a 30-day return policy and great customer service regardless.